It's almost Thanksgiving, and Tuyet is excited about the holiday and the vacation from school. 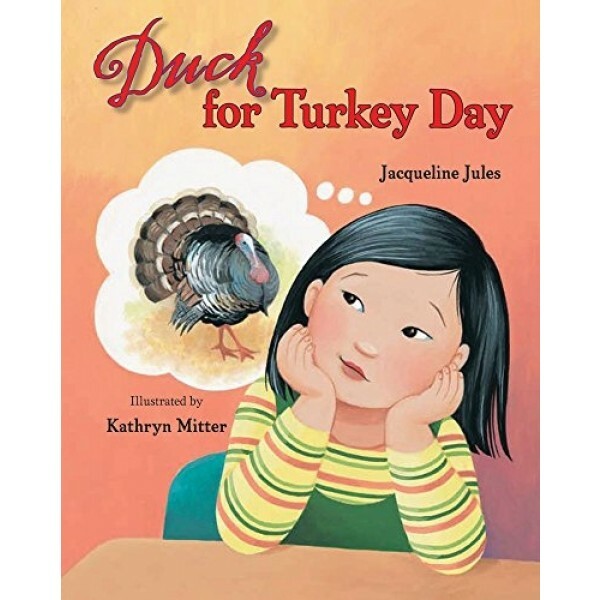 There's just one problem: her Vietnamese American family is having duck for Thanksgiving dinner - not turkey! 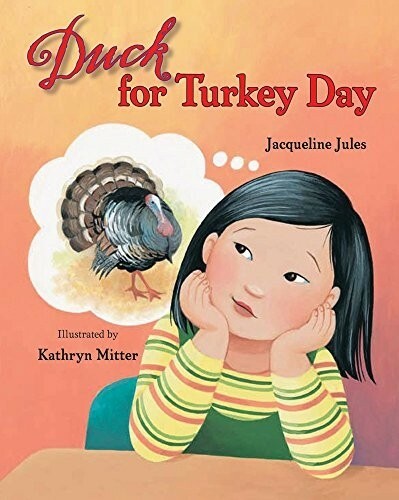 Nobody has duck for Thanksgiving -- what will her teacher and the other kids think? To her surprise, Tuyet enjoys her yummy thanksgiving dinner anyhow -- and an even bigger surprise is waiting for her at school on Monday. Dinners from roast beef to lamb to enchiladas adorned the Thanksgiving tables of her classmates, but they all had something in common -- family!